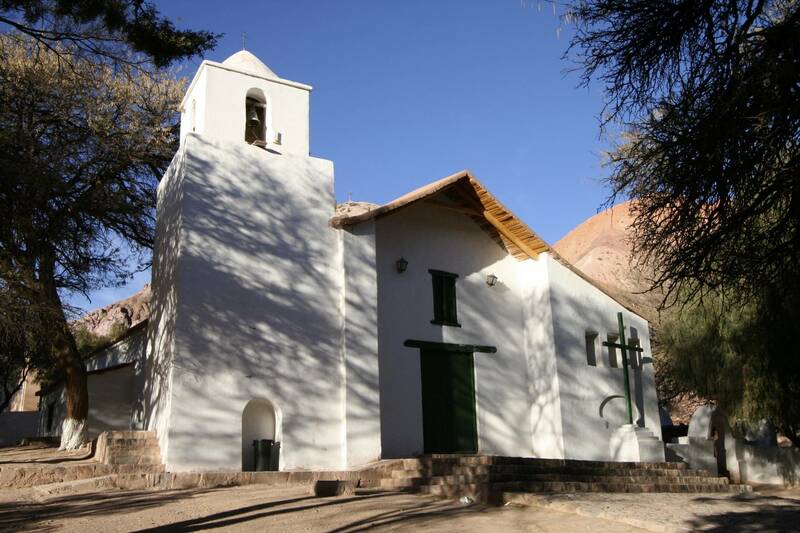 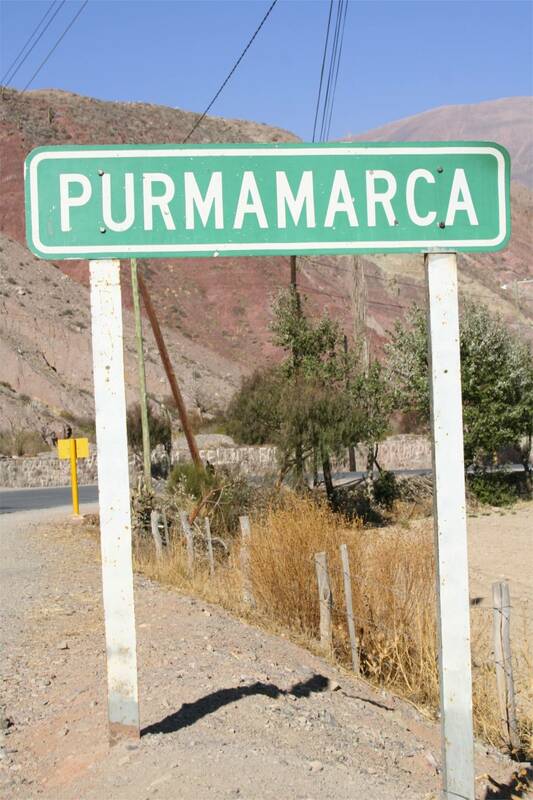 After a long, long drive from Cafayate all the way north to Purmamarca, a journey that took us through beautiful countryside but which also took the best part of a day, we were delighted to finally see the small village of Purmamarca. 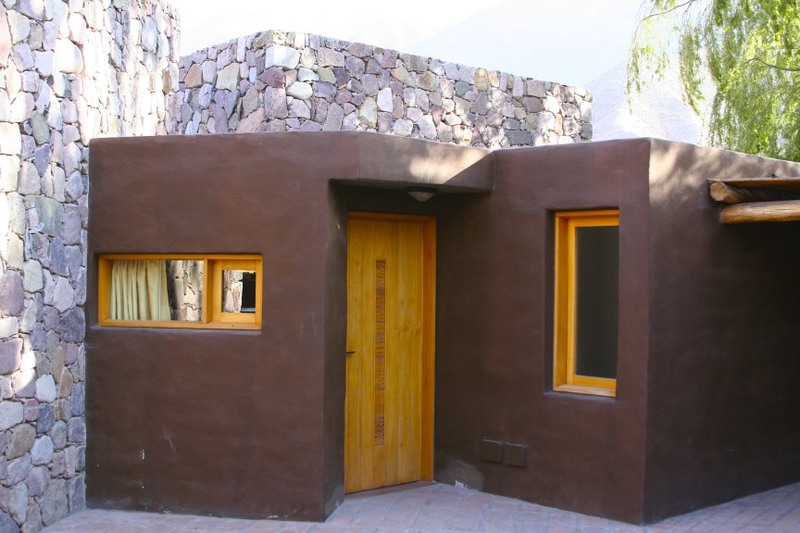 We were even more delighted to find our lovely adobe cabana on the outskirts of the village, complete with wood burning stove and fridge stocked with regional wines. 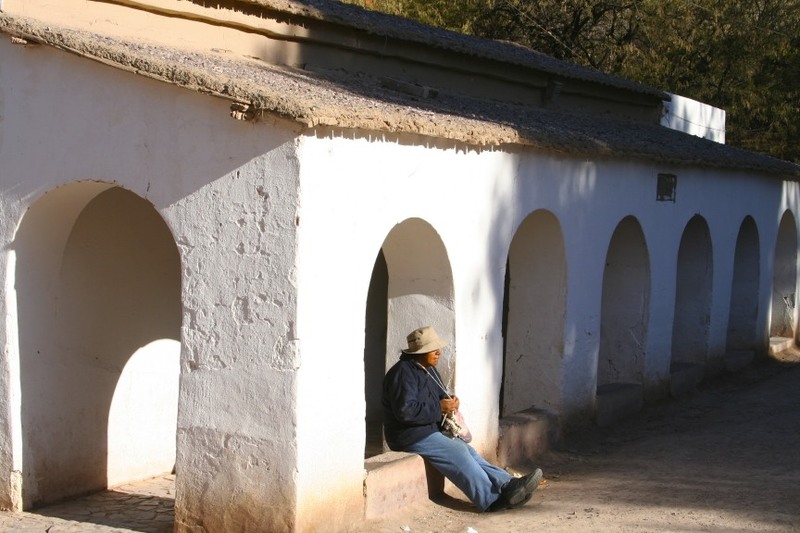 Purmamarca is a small but perfectly formed village full of picturesque adobe houses and a lovely colonial-era 17th century church. 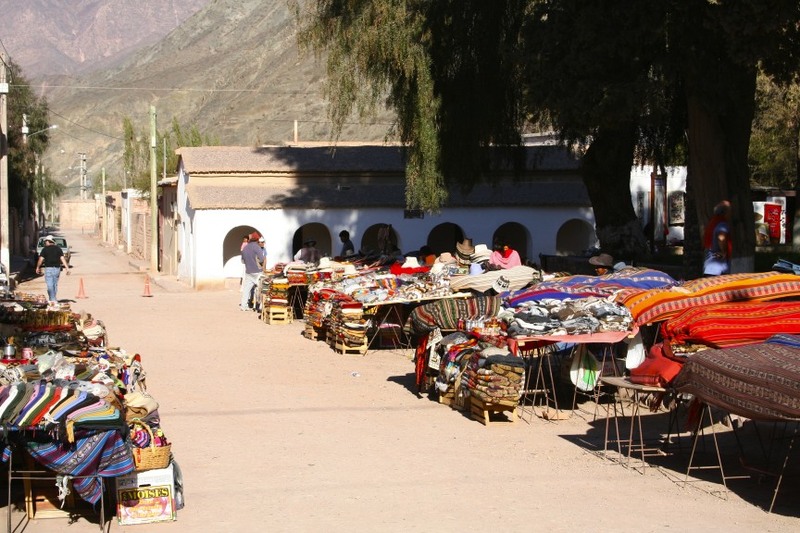 There is precisely nothing to do in Purmamarca once you’ve had a look at the market in the central plaza, but it is perfect for a relaxing few days and a good base for exploring this extraordinary region. 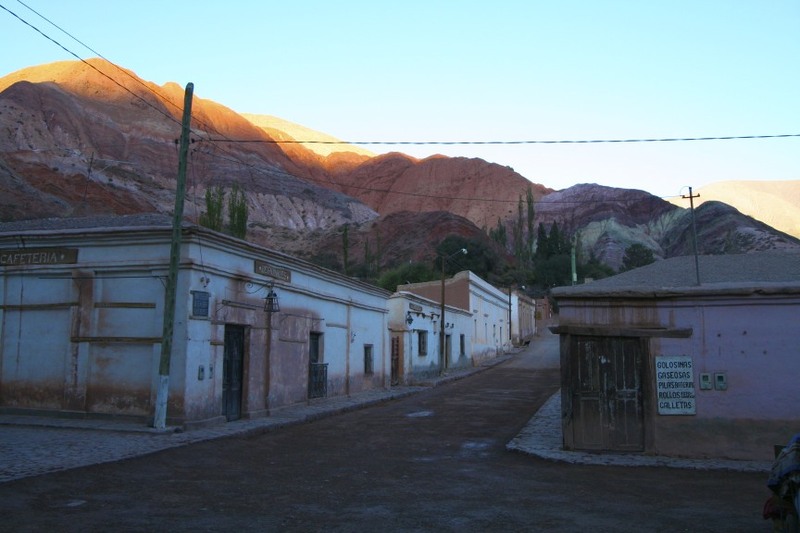 This region of Argentina is geographically close to Bolivia and it felt culturally closer to Bolivia than I’d expected…mainly because the region has more indigenous people than any other in Argentina. 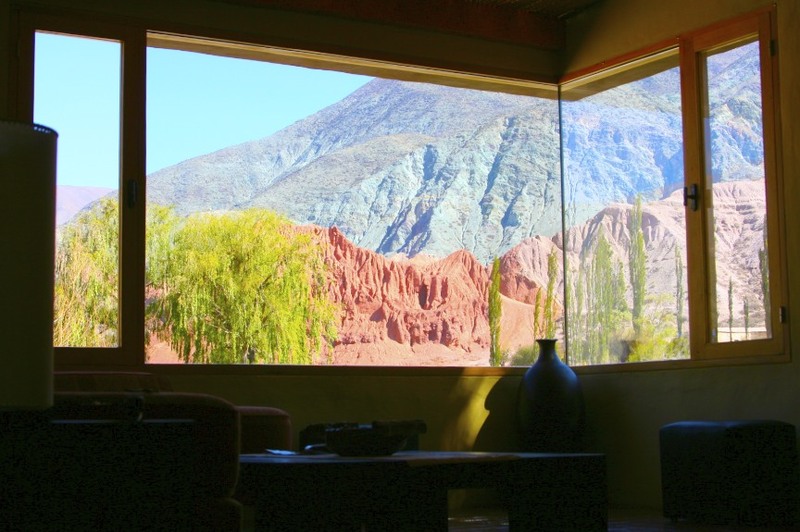 The food is also similar – Argentina may be famous for beef, but llama dominates menus in this region. 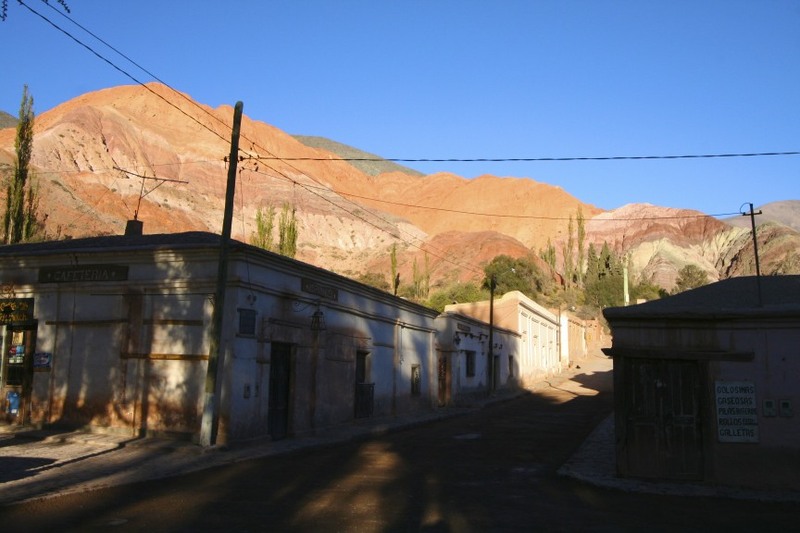 The thing that draws people to Purmamarca, other than to experience a traditional Andean village without having too many other tourists for company, is the extraordinary Cerro de los Siete Colores. 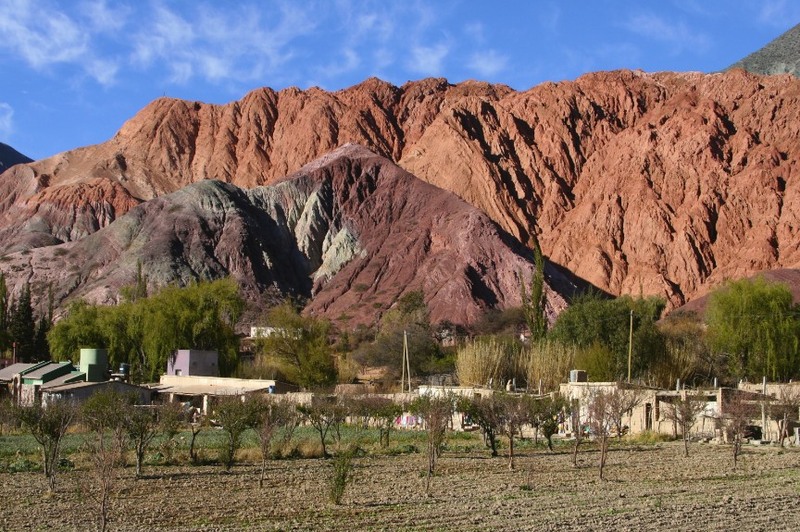 Seen at most times of the day, the Cerro de los Siete Colores is just another impressive example of this colourful mountainous region. 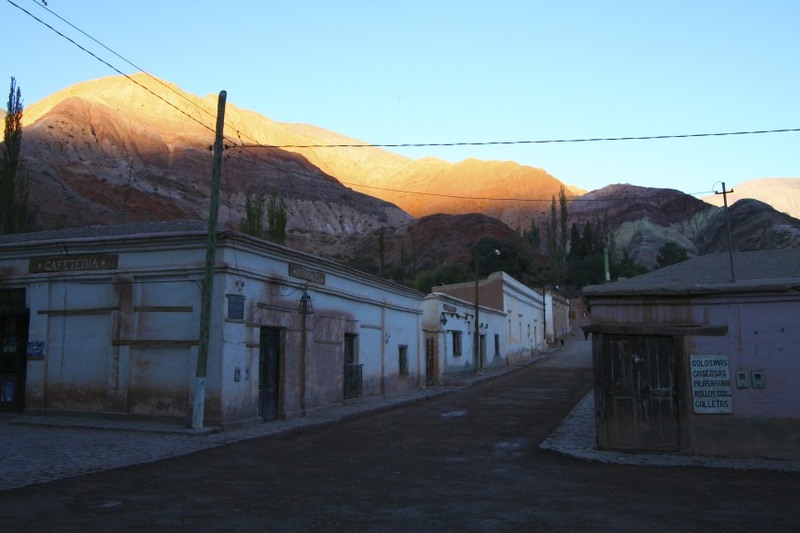 Seen over a period of 45 minutes as the sun rises over the village, the Cero de los Siete Colores takes one an entirely different life…although this does also involve getting up before sunrise and standing in the central plaza in the cold waiting for the sun to work its magic.